What Are Cat Eye Blinks? 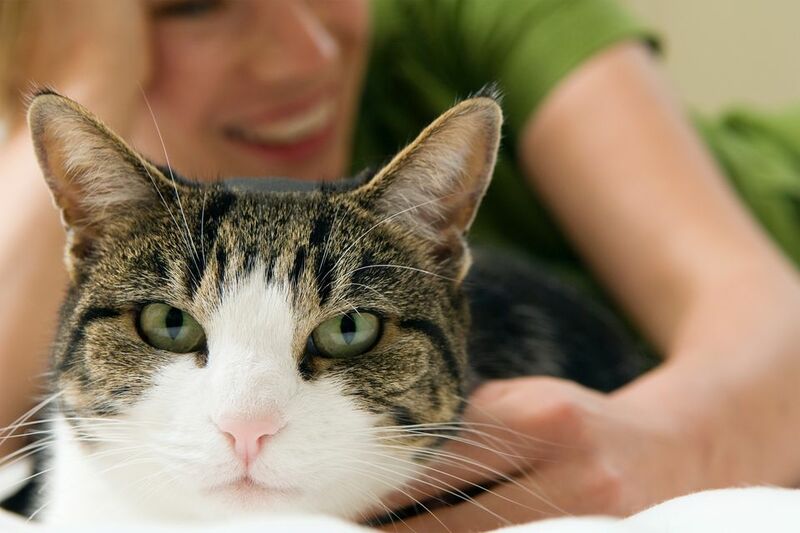 A cat eye blink, often referred to as kitty kiss, is a common cat behavior. The cat's eyes communicate information depending on how open the eyelids are, as well as what the eyes do. Cats' eyes demonstrate strong emotion, easily recognizable by other cats. A prolonged, unblinking stare between cats is an intimidating gesture that often will cause a lower-ranking cat to turn tail and leave. Aggressive cats can use a long-distance stare to control access to their owned territory. You might not even notice, but the kitties understand that the top cat is "guarding" the hallway that leads to litter box, for example, and so they won't dare challenge and trespass! If you are trying to make friends with a strange cat outdoors, it would be a huge mistake to stare at him, as you will either intimidate him into leaving, or even worse, bring out his aggressive nature. In either case, your attempt to make friends may be permanently squelched. Cats use their eyes to demonstrate or even to hide their emotions. A slit-eyed look indicates strong emotion—fear or aggression. Squinting also protects eyes from potential claws of an opponent. On the other hand, cats with wide-open eyes usually indicate friendliness, curiosity, or even playfulness. You can often see these visual clues demonstrated by kittens, who haven't yet been introduced to fear. Their innocence when meeting one another is a pleasure to behold. "One morning at 2 a.m., faced with 45 cats in cages screaming in terror during a thunder and lightening storm, Jackson put to the test the 'Cat I Love You' slow blink. Cat-by-cat, slow blink after slow blink, after several hours all the cats had stopped screaming and were back in their state of "confidence and stillness," which Jackson refers to as "cat mojo." Try it yourself. The next time you're sitting quietly and notice the kitty across the room gazing at you, look back-and then with great exaggeration, slowly shut and then open your eyes. Chances are, your cat will return the cat-kiss eye blink, and you will have arrived.